Picking the right tile for your kitchen or bathroom is a matter of aesthetic but also what kind of functionality and maintenance you want to get out of it. Whether it’s for your bathroom or kitchen, tile is a great option as far as flooring goes. It’s a practical option that allows you to easily clean up and keep everything nice and tidy. Beyond its practical uses, it’s also a material that allows for a good bit of flexibility in terms of design. There’s all kinds of materials out there being used for tiles so it depends on what you want to prioritize. 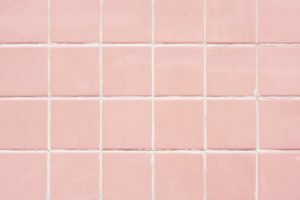 Let’s take a look at some of the most common tile options so you can figure out what’s best for you. Ceramic tiles are cost effective and relatively durable. On top of that, there’s a huge number of design options—you can pick from a big variety of aesthetics to match your personal style, all at relatively low cost. Ceramic tiles are ideal for kitchens but keep in mind they aren’t as impervious to water as other options if you plan to use them in the bathroom. Vinyl tiles are very commonly used in bathrooms. One of the most inexpensive options out there, vinyl is also very easy to install yourself. It’s also pretty resilient and won’t crack or break over time. However, many people find vinyl tiles to look cheaper and less interesting than other options. Stone is becoming more and more popular as people seek to bring in some outdoor elements to their homes. This includes marble, granite, limestone, and slate as well as a number of texture options. Stone tiles are much more expensive and require lots of maintenance, but they are known for their beauty. This is another common option for bathrooms. They repel dust and dirt but keep a nice vibrant color. Like vinyl, linoleum is renowned for being easy to install and that paired with its versatility makes it ideal for many homes. Just remember that it is susceptible to scratching and will age in appearance if not maintained well. Glass is a great option for someone who wants to get creative. It’s fantastic for more modern looking bathrooms and kitchens and can work well with natural light too. Multi-colored glasses are a big option and can even be used to match your backscratch. However, keep in mind this option can be expensive and installation is difficult. Cork isn’t a super common or well-known option but it’s got a lot of uses. They’re great for homes with children or older folks because they can help protect them in the case that they fall. It’s soft to walk on and looks amazing as well. However, it’s easily damaged and you may need to replace it somewhat often. This entry was posted on Friday, August 3rd, 2018 at 11:36 am. Both comments and pings are currently closed.